Punters at the 2016 Goodwood Festival of Speed will be the first in the UK to see the new Aston Martin DB11 on the move, as it makes its dynamic debut up the famous hill climb this month. Having debuted at the Geneva Motor Show in March, the DB11 will be driven up the hill by Aston Martin boss Andy Palmer. It will also be on display at Goodwood’s Michelin Supercar Paddock throughout the show, which takes place June 23-26. Alongside the DB11 will be the Vantage GT8, driven by Aston Martin Racing’s Darren Turner – who’ll also drive the stunning Aston Martin Vulcan up the hill, the Vulcan being a track-only hypercar with a £1.8m price tag. The new Aston Martin DB11 is available to order now for £155,000. 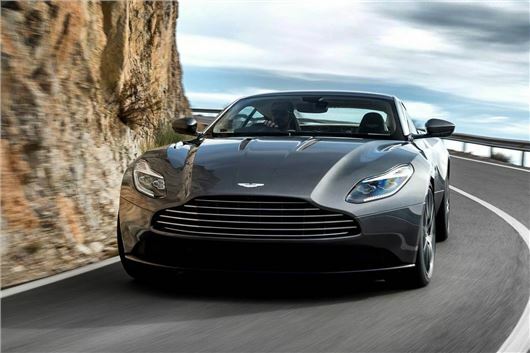 The DB9’s replacement – a car that was released back in 2003 – comes with a 600PS, 700Nm twin-turbo V12 engine, a 0-62mph time of 3.9 seconds, and more rear passenger space. For around the same money it was possible to buy a two-seat Vantage GT8 (above), which with 446PS is the lightest and most powerful production Aston Martin V8 Vantage ever. That’s “was possible” because all 150 examples have been sold already, sadly, each for £165,000. Aston Martin will also display the newest V12 Vantage S in the Goodwood Supercar Paddock.